1. The Extent Of Use Of Instructional Materials For Effective Teaching - Learning Of English Language And Integrated Science In Junior Secondary School In Enugu Urban, Enugu State. 2. The Effect Of Continuous Assessment On Academic Performance Of Students In Home Economic In Secondary Schools At Fegge In Onitsha South Local Government Area Of Anambra State. 9. 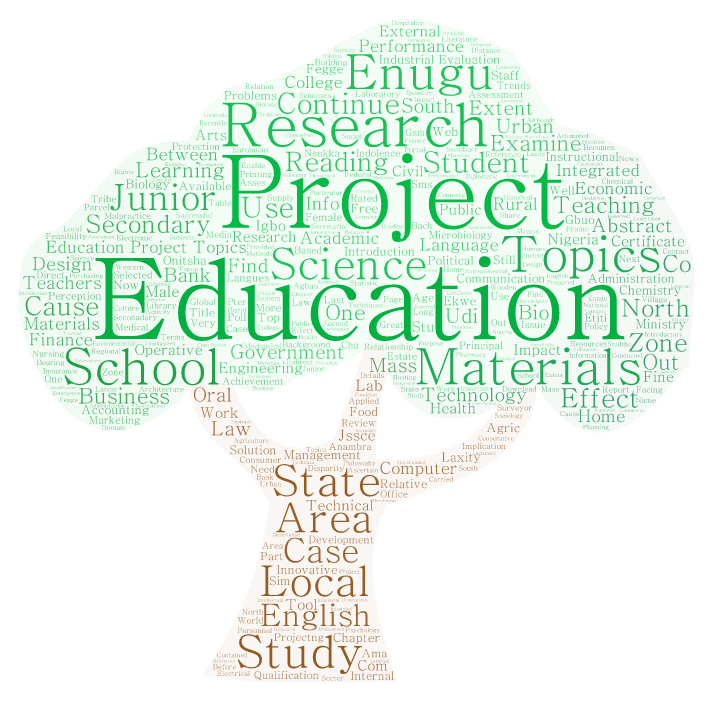 Extent Of Use Of Instructional Materials In Effective Teaching/learning Of Computer Science In Junior Secondary Schools In Enugu Education Zone, Enugu State. 10. The Trends In Students Performance In Junior Certificate Examination In English Language And Integrated Science Enugu North Local Government Area, Enugu State.